Replacement wheelchair parts for your manual wheelchairs from leading manufactures Drive, Medline and Invacare. Find replacement wheelchair wheels, bearings, upholstery, arm rests and accessories for your wheelchairs. 638-2RS (638RS) bearing,for use on power chair caster wheels. 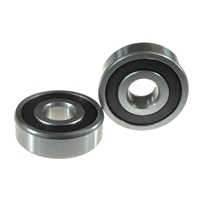 This bearing is commonly used on Quantum Power Wheelchair casters as well as other Pride Power Mobility Products. This is an item that should be regularly serviced on your power wheelchair. What makes this bearing unique and sometimes difficult to find is the fact that the inner race protrudes from the body of the bearing. Measuring the width of the bearing it is 9 mm but when you measure the width of the inner race of the bearing it measures 11 mm. 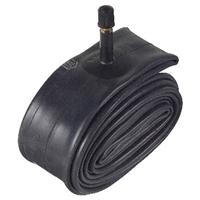 24" x 1" Innertube. Works in most 24" x 1", 25-540mm wheelchair tires. Includes tube only. No Tire included.